So, to make things easier we’ve collected information about 9 Round membership costs so you don’t need to guess. Below you’ll find all the information you need to know about prices at 9 Round, so make sure to check them out if you’re thinking of joining this popular fitness franchise. Looking for more information about Round 9 membership prices? Then look no further than this comprehensive 9 Round price guide. It’s difficult to commit to a fitness franchise without knowing how much they charge. With so many gyms out there vying for our money, knowing which one offers the best value for money is often difficult. How Much is a 9 Round Membership? 9 Round prices remain very reasonable across the board. Their fees are straight-forward with no hidden costs, which is certainly the case with every gym. You only need to pay a start up fee and a monthly fee for your membership to 9 Round – it’s really that simple! So, how much does a 9 Round membership cost? Well, there are two main options – pay monthly or pay annually. Like with many popular gym chains, the cost of a 9 Round membership is slightly reduced when paying for a full year. For instance, a yearly fee at 9 Round costs $708, working out at $59 per month. While paying this in a lump sum isn’t viable for everyone, it does offer the chance to save some money! This is because the month-to-month membership price at 9 Round is slightly more expensive. This costs $79.99 per month when paying month-to-month. So, you can save $20 per month when paying the yearly membership price at 9 Round! That works out at over $200 each year – talk about an amazing saving! If you’re unsure whether 9 Round prices are suitable, be sure to take advantage of their free trial! Contact a local club to arrange a free trial at one of their kickboxing classes. It’s a perfect way for finding out if you like it! What do You Get with a 9 Round Membership? A 9 Round membership comes with a nice few perks for members. 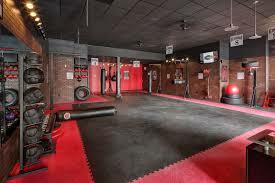 For example, members are given unlimited access to 30-minute kickboxing workout sessions. These are designed to give a maximum efficiency workout that burns calories, improves cardio, and builds strength. While it is recommended to go to three classes each week art 9 Round, there is nothing stopping you from taking more classes if you feel up for it. Also, there are not tight schedules to follow as each class involves circuit workouts. This means that a new workout routine is taking place every 3 minutes, so you can drop in whenever you want to for a workout session. Furthermore, because each 9 Round location is individually owned, your membership may not cover multiple locations. There is a chance that you don’t need to pay anything extra, although it depends on the particular club. However, if you’re 9 Round franchise owner has multiple club locations then your membership does extend to these too. Make sure to speak with your local 9 Round club to determine whether multi-club access is included with your membership.